Keeping the skin on to protect the color, cut the top and buttom off of the onion and cut it in half. 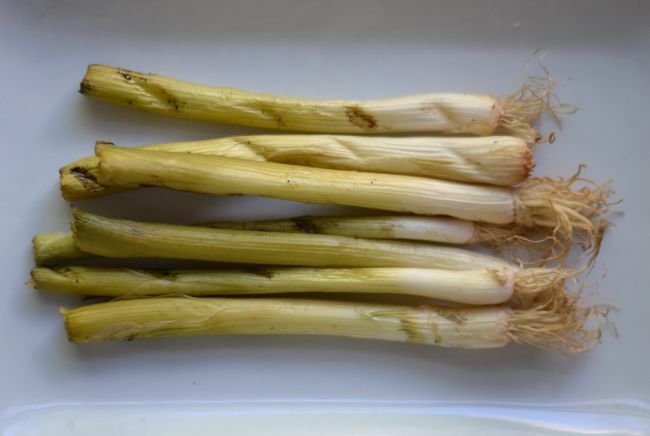 Cut the white bottoms from the scallions, saving the green part. Set the Traeger set to “smoke” and using alder wood pellets, smoke the corn, onion, and white part of the scallions for 1 hour. After everything is smoked, peel and slice the smoked onion very thin. Sweat the onion on low with 4 oz butter and a pinch of salt until it is super soft. Cover the onion with a lid to trap moisture. Next, cut the kernels off the cobs, (but save 3 cobs). 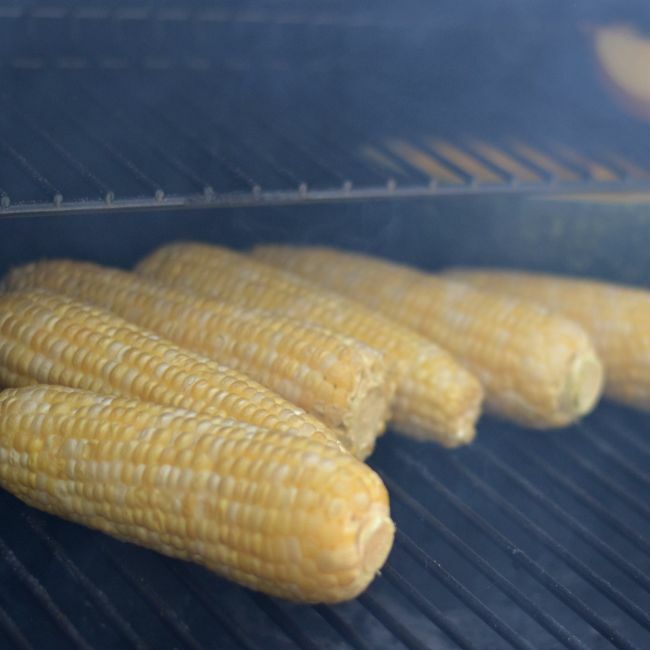 Save a few kernels for torching later. Add the kernals, 3 cobs, vegetable stock, and cream to a pot and simmer for 40 minutes on low. 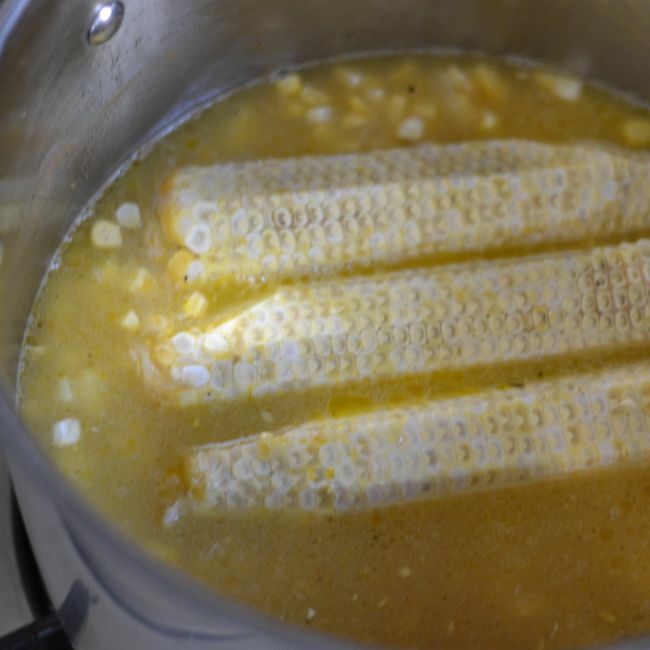 REMOVE THE CORN COBBS and then puree the soup on high until it is silky smooth. Pass the soup through a fine sieve and then season it with salt. Next, peel the smoked scallions and slice them very thin. 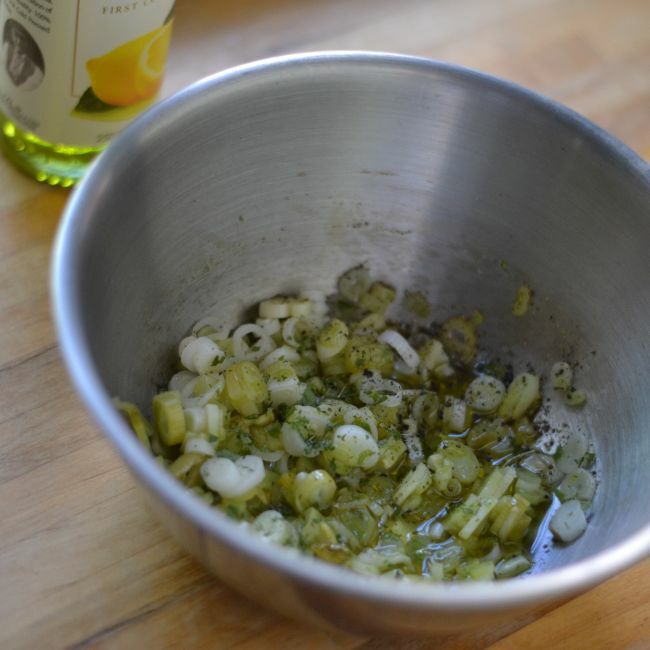 In a bowl, mix the scallions, minced verbena leaves, a little lemon oil and a nice bit of cracked pepper. On a metal surface, give those extra kernels a good torching until they just barely turn black. Julienne the scallion tops you set aside. Give the cheese a nice small dice. 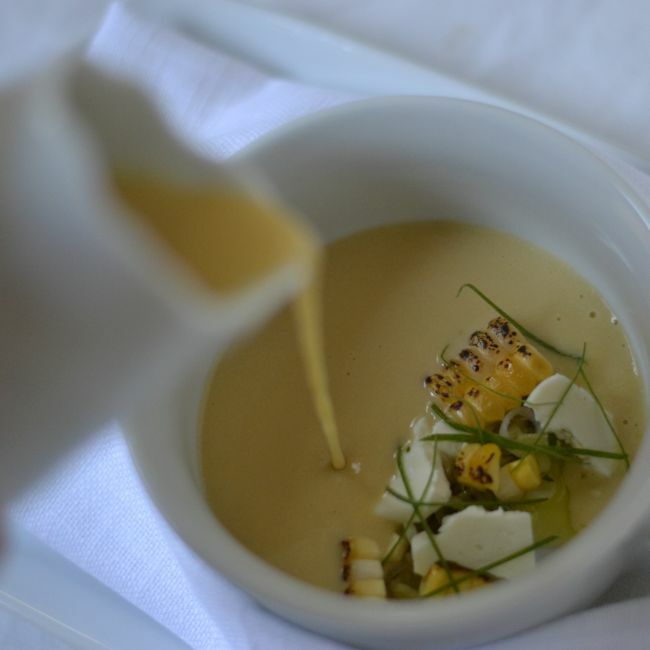 To plate the soup, lay down a spoonful of the scallion mixture in a bowl and sprinkle in some charred corn and cheese. Top that with the scallion greens and pour the soup for your guests tableside.